It is really important to vanish insects from our home to improve the health and hygiene of our family members. 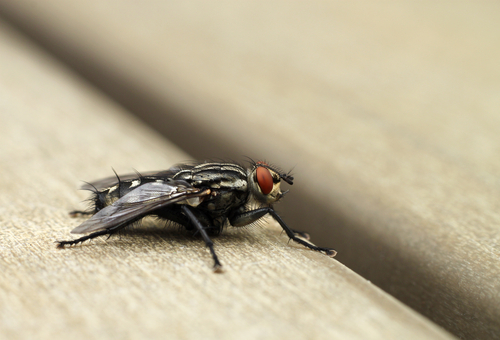 There are many ways to eradicate insects and pests in your home. Pests are always looking for food, shelter, and water for the living. 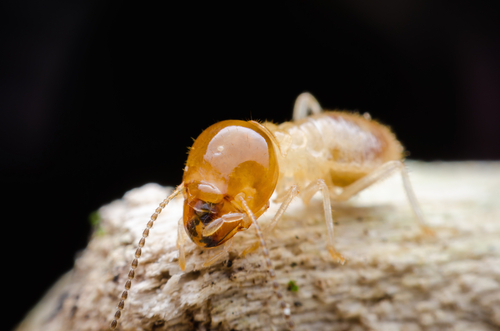 In most of the cases removing these items may get rid of the termites. We come up with the best tips that you can vanish pests from your life. Look in the house, is there any leakage? Is there any other source of water in your house? If it is then repaired it immediately. Remove the water anything that brings insects in your home. If you do that then insects will find another source of water in your home. Pests will come in your home if you will not remove garbage from you home. Never leave food everywhere in your house it can be one of the biggest mistakes. Whenever you see foods always clean it at the same time. Always seal your food properly and remove garbage every day. If you do every day then pests will starve for the food and start finding out new places for the food. When you are asleep, pests work for their food and water. They do anything to feed themselves, so they eat whatever comes in their way. So it's really important that you remove food and water before sleep. There are some places where the food can so check out and remove it safely. There one more way to get the hell out of insects. Close every entryway in your house and seal hidden places where they can go. They will suffocate to death when you do that. It's all about oxygen that they will never get it after sealing it. There are many places in the house where they can hide. Find out each place and seal it. it will help you to stop every insect from hiding in your home. Whenever possible clean your house efficiently. If it is possible then do it regularly. Do you have a garden near to house? Clean it too. Some garden is full of insects that can come in your house easily. Whenever you clean your garden take safety measures with yourself. If you will not take then insects can affect you. If you have chemicals then use it carefully because it can be harmful too. Remove all most all dust from the house and get rid of old carpets. They are many pesticides can be used to remove it so if you are using it then use it in the right quantity and at the right place. 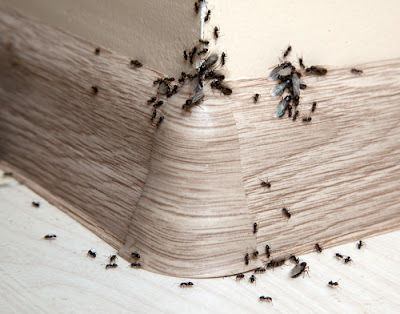 Do every possible thing to remove the insects in your home. Whenever liquid in your house, remove it as early as possible. There are possibilities that you can find liquid in awkward places. There are excess of insects at some places. It can be in the corridor or it can be in the place that you cannot find anything. it can be at hot waters heaters and can stay there. Find out and clean it. As I said before, insects are in your house for shelters. If you remove the shelter then you can remove every insect from the house. Insects used to live at small places in your house such as crack and crevices. Pests can habitat and breeding on that places. It would be great if you seal anything in your house. Make sure you find every place in your house and seal it. Take major actions to remove the shelters of insects. If you do it then they will die one by one. Is it a way? Yes, it is a proven way. Many people in Singapore are doing it, whenever they see insects in their house. Hairspray is made from the various chemical that finishes every insect in your house. Is it not possible to do by yourself? Then there are many pest control companies in the Singapore. Call them and use their services. They will find every insect in your house and make your house safe. It can possible that you miss out something while cleaning the house but pest control companies have professional staff. Maybe you close every hole on the floor but there are many others holes too. Maybe on sealing or somewhere else, take everything into account and seal it. Holes are the house of insects. So there if there are no holes then there are no insects in your house. If there is any gap or something like that then seal it that too. It is all about how well you can seal it. if you seal it well then pests will die in your account. There is the mouse in your house. Have you ever seen the mouse in your house? If yes then mint leaves method are one of the best methods for it. Min leaves prevent to come mice in your house. A mouse hates mint and always stays far from them. put it in your house and mice will never come in your house again. So these are the best tips to pests control in your life. You can use to stop pests or insects in your life.